Aquifer Storage and Recovery (ASR) could provide a cost-effective solution to Oman’s water management needs, storing produced drinking water during times of low water demand, and recovering it later during emergencies or times of peak water demand. 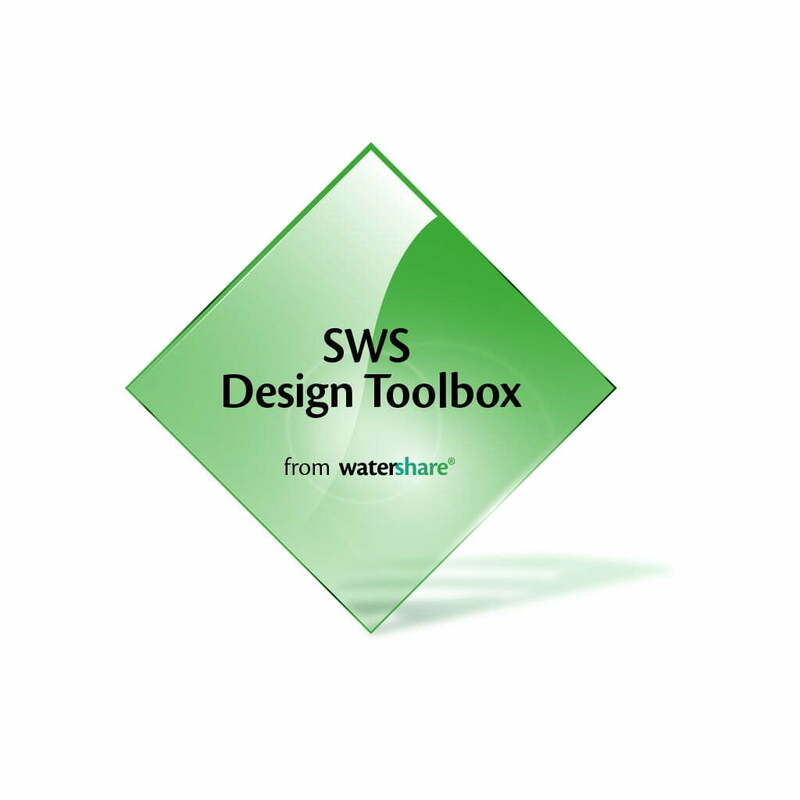 Large water volumes may be stored deep underground, reducing or eliminating the need to construct large and expensive concrete surface reservoirs. In many cases, the storage zones are aquifers that have experienced long term declines in water levels due to heavy pumping to meet increasing urban and agricultural water needs. Groundwater levels can then be restored if adequate water is recharged. 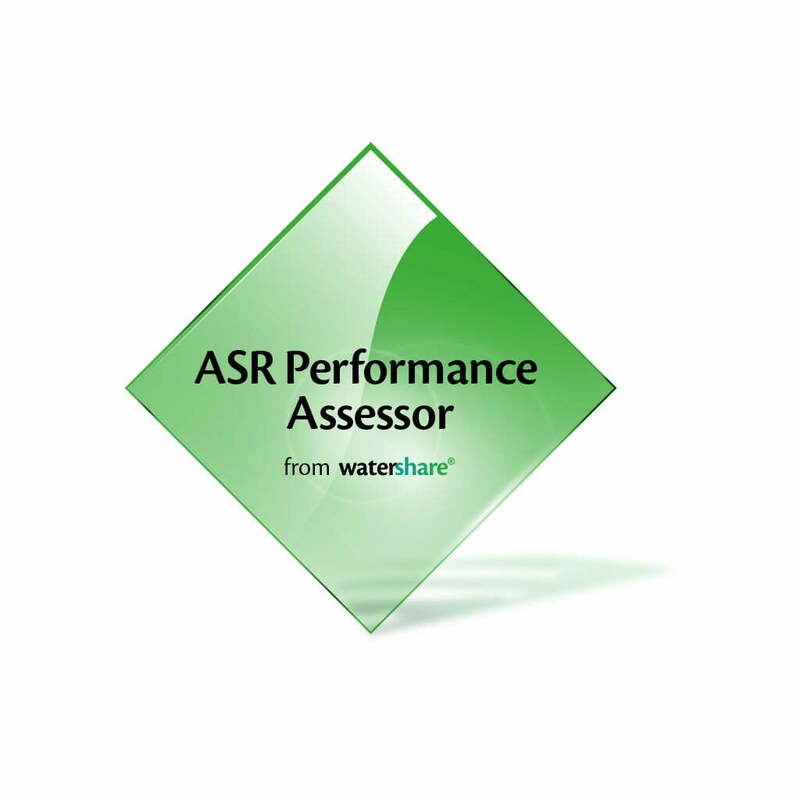 In order to increase the security of drinking water supply, and aiming at cost reductions in developing new infrastructure and desalination plants, DIAM is now considering ASR applications and the potential benefits to the Sultanate of Oman. A pre-feasibility study into ASR applications in Oman is currently executed, focusing on two main aspects: (1) ensure emergency supply when water intake for desalination from the Gulf of Oman is hampered by, for instance, algae blooms (“red tide”) or oil slicks, and (2) cost-reduction through seasonal storage of excess drinking water produced (seawater desalination) during periods of low-demand, to be supplied during periods of high-demand. 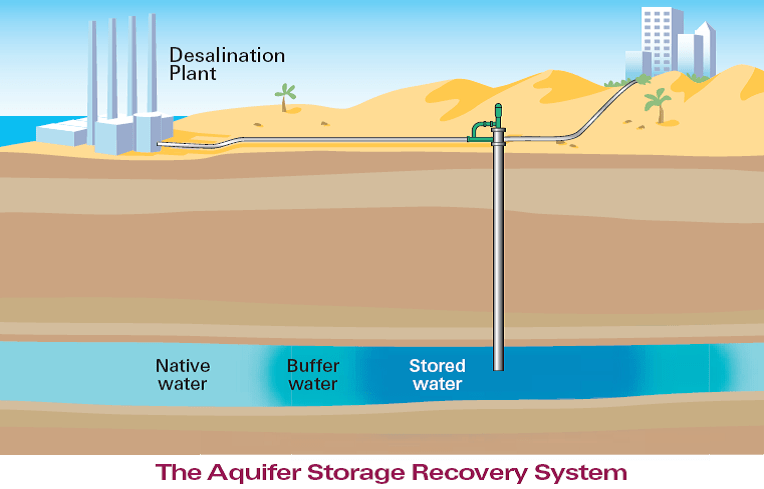 Aquifer Storage and Recovery (ASR) to store excess drinking water to be supplied during peak demands (seasonal storage) or during calamities such as seawater intake stops (emergence storage). 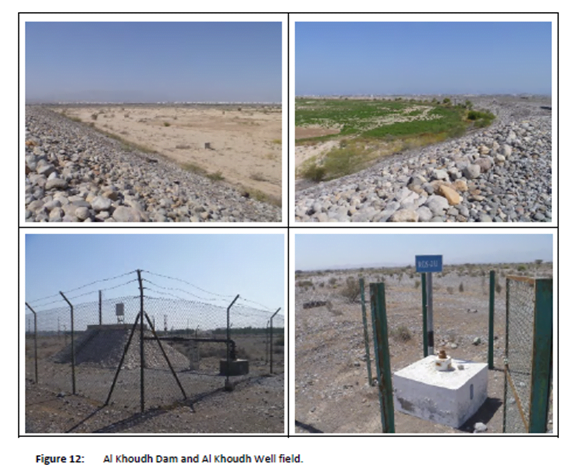 Al Khoudh Dam and the Al Khoudh Well field are potential locations to storage excess drinking water for emergency storage.